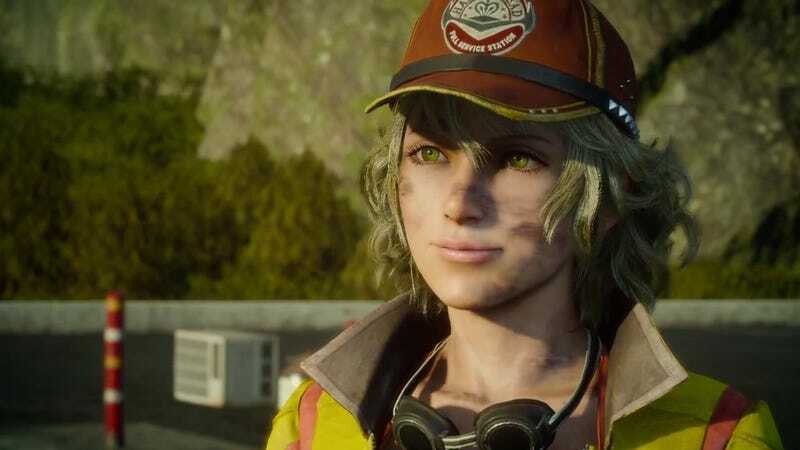 UPDATE (3/18/15): After playing the demo for Final Fantasy XV, we now know that not only is Cidney called Cindy in English, she's not the only person with a Cid-like name in this game. Her father is actually named Cid. We've changed the headline accordingly. The original headline read "Final Fantasy XV Features The First Female Cid." To coincide with today's Jump Festa 2015 in Chiba, Japan, Square Enix has released their latest trailer for Final Fantasy XV. In the past, some were unhappy by the lack of female playable characters in the game. Though not playable, franchise staple Cid returns as the main cast's mechanic. A technology-centric character, this is the first time the character has been female. Check out the trailer below to see Cidney in all her glory—along with the gigantic Titan summon. 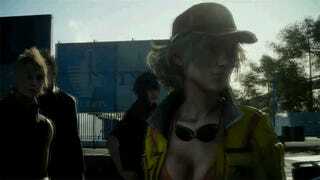 Update: During Hajime Tabata's Jump Festa 2015 panel, he showed of a bit more of Cidney. Here are some gifs of that.